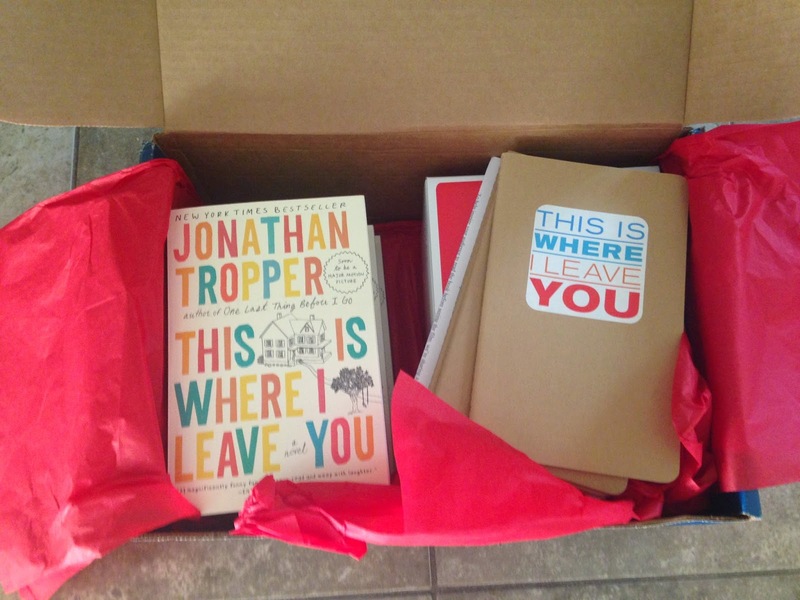 It's my THIS IS WHERE I LEAVE YOU book club kit! It includes copies of the novel by Jonathan Tropper, journals, and even a few wine glasses -- almost everything I need to host a book club with my friends. I was fortunate enough to be asked to participate in a TIWILY book club discussion. I'm so excited to read this book again because I absolutely loved it the first time. And I can't wait to hear what my friends think. It truly is a very special novel -- funny, touching, and insightful! We are meeting on September 14th -- right before the movie comes out in theaters on September 19th. Hopefully we can all attend the film together too! I am a big believer in reading the book before seeing the movie, so you still have time. You can also join Warner Bros. Pictures’ #TIWILY book discussion on the film’s Facebook page each Wednesday, and take part in the conversation for a chance to win signed movie posters and a trip to the premiere in Hollywood! Trust me when I say that you definitely want to take advantage of these opportunities! 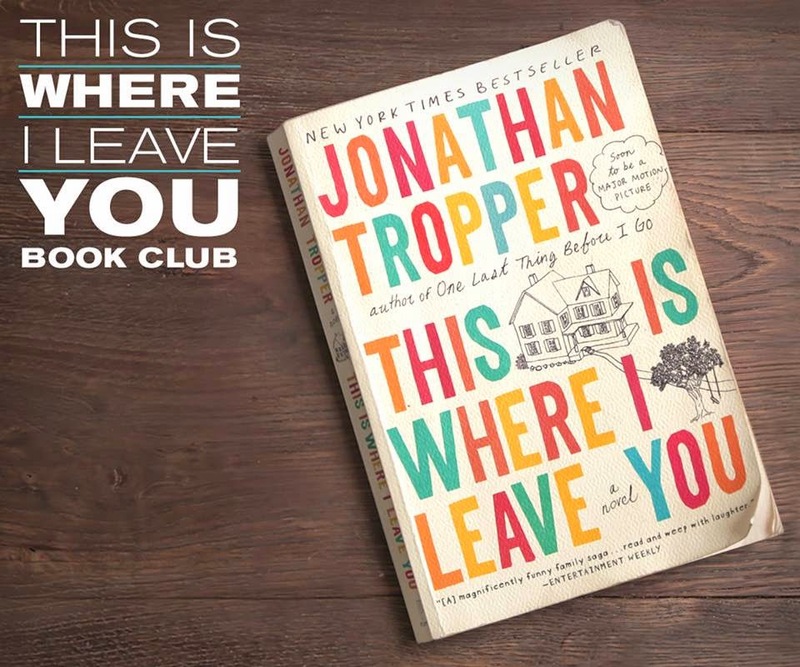 Summary: The dramatic comedy “This is Where I Leave You” is directed by Shawn Levy, and based on the hilarious and poignant best-selling novel by Jonathan Tropper. It features a starring ensemble cast including Golden Globe winner Jason Bateman (“Arrested Development”); Golden Globe and Emmy Award winner Tina Fey (“30 Rock”); and two-time Oscar® winner, multiple Golden Globe honoree and 2013 Emmy Award nominee Jane Fonda (“Klute,” “Coming Home,” HBO’s “The Newsroom”). Check out this trailer to get an idea of how fantastic this movie is going to be! My book club is reading this too. So far, I'm loving it. I'm looking forward to re-reading it too. I really, really hope the movie is a good adaptation. The trailer looks promising. I'm looking forward to seeing what Tina Fey is like in a semi-serious role. Fun! My book club is supposed to have a Parisian party next week. Yeah for fun book clubs.